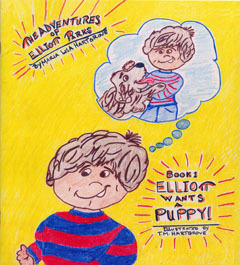 Elliott Wants A Puppy, is the first in a series of books about The Adventures Of Elliott Parks. The Adventures Of Elliott Parks, range from the everyday adventures of a little boy to the types of situations that many children (and adults) face in their lifetimes, many of which are rarely discussed. Elliott Wants A Puppy, the first in the series, is a topic most parents and children can relate to. For most the responsibilities of having a pet of any kind can be a challenge both to parent and child. Maria thought this heartwarming story was a good way to introduce Elliott to the world because it is a subject that many families have to deal with at some time. 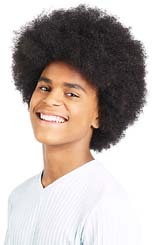 The Adventures Of Elliott Parks series helps children learn that families come in all different shapes, sizes and colours and that families consist of many different dynamics that come down to one simple thing: love. Whether it be through adoption or biological, there is no difference. There is just love and family is family, no matter how it comes together or whom it includes. In future installments Elliott will embark on many different adventures. Some will make you smile and some will make you cry, but all will make you realise that we all have a lot to learn and we can start learning right here from an eight year old boy named Elliott. Maria L Hartgrove has already completed six adventures in the series, look out for for the next book in the series where Elliott helps plan an adoption party for his new little cousin Kim Lee. The Adventures Of Elliott Parks - Elliott Wants A Puppy, can be ordered direct from Traffordpublishing.com or UK customers can ring their UK order desk clerk on 0845 230 9601.